Do you have potholes or an area of deeper cracks in your driveway? If so, Capital Paving & Sealcoating has a team of highly trained professionals who can perform all kinds of patching and repair you may need. While asphalt is strong and durable, which is why it is the most sought-after road surface, it does eventually wear away. As asphalt begins to decay the signs of it will show up in an assortment of ways such as ruts, cracks, potholes, crumbling, fading, and more. Asphalt sealcoating is highly recommended as regular preventative maintenance but there may be times when you need patch repair instead. 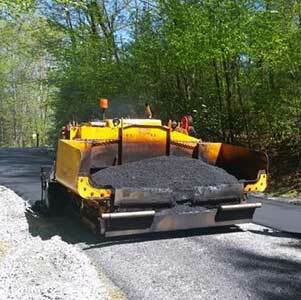 What is asphalt patchwork and repair? 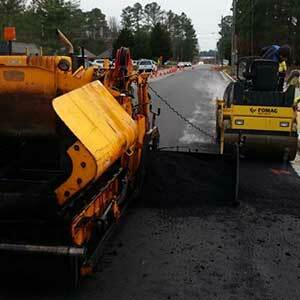 Asphalt patching is an economical repair solution for a smaller area of pavement that has an issue. For example, potholes or deep cracks are ideal candidates for patchwork. Fortunately, most potholes and deeper cracks can be fixed before the foundation of the asphalt is compromised. That is if these issues are addressed early and not left untreated. If potholes and deep cracks are left unattended to, they will spread beneath the surface of your pavement and cause even more damage. Much like that of a crack or nick on the windshield of your vehicle will spread if not treated or replaced. Although, patchwork is a long-lasting repair it is important to keep in mind that it is a temporary solution and not a permanent one. How is patchwork repair completed? To prevent further damage a trained qualified professional will first inspect your driveway or paved area to see what is causing the failure of your asphalt. If patching is required, they will then mill into the top layer of your paved surface to clear the damage and apply a new layer of asphalt. 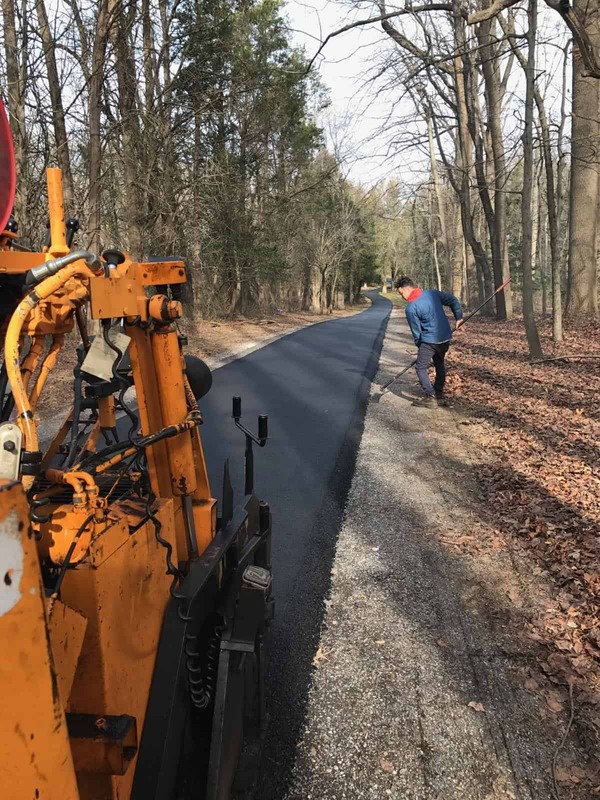 In more severe cases such as potholes and deep cracks, your contractor may have to drill down to the substrate with a larger outer radius before applying a new patch of asphalt. Simply applying a new layer of asphalt is not the best solution to correcting the damage that has occurred in your pavement. A larger area will need to be inspected and corrected with new asphalt to ensure that no further damage happens. Can I do patchwork repair on my own? It may be tempting as a homeowner to assume you can fix potholes and larger cracking yourself, however, it is not recommended. As stated before, a larger area needs to be removed in order to prevent additional spreading and failure of your asphalt. Capital Paving & Sealcoating has the proper equipment to perform these kinds of repairs and the expertise to ensure it is done properly. Also, a deep pothole or area of deep cracks is a significant indicator that there is an underlying problem that needs to be inspected. There could be failures taking place at the base level at the soil such as erosion. 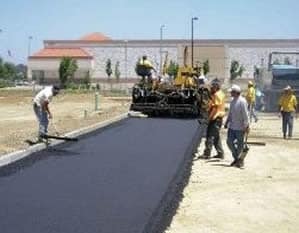 When in doubt contact a professional contractor to assist you in evaluating your asphalt paved driveway. We offer free on-site evaluations to help you determine what is the best solution for your private property within your budget. Capital Paving & Sealcoating has been in business since 1956 and there is not a paving issue that we cannot address. Our highly trained staff are here to help you maintain your home and keep its access points looking great for years to come. 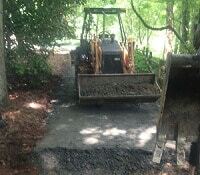 You invested in an asphalt paved driveway and we want to help you protect your paving project.